Power 37 kW 50 hp Width 1850 mm 73"
Speed 2650 rpm Height 2580 mm 102"
Torque YJ240 model Ground clearance 260 mm 10"
Fuel consumption <225 g kw.h Dumping height 2650 mm 104"
*Optional: Perkins and Cummins engine Dumping reach 1050 mm 41"
Wheel base 2150 mm 85"
Loading weight 1500 kg 3307 lbs Turning radius 4000 mm 157"
China Loader Manufacturer - The RC15 wheel loader's great maneuverability allows for optimal performance even on the roughest of terrains. 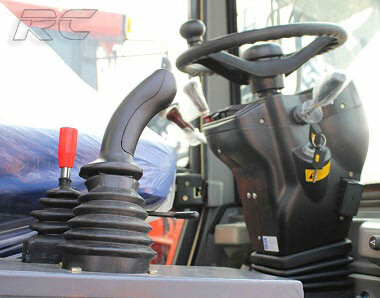 Its spacious cabin ensures both great visibility and comfort, maximizing the operator's productivity. With an operating weight of 3980 kg, a 0.8 m³ standard bucket volume and 1500 kg loading weight capacity, the RC15 delivers an outstanding performance in a large array of fields. 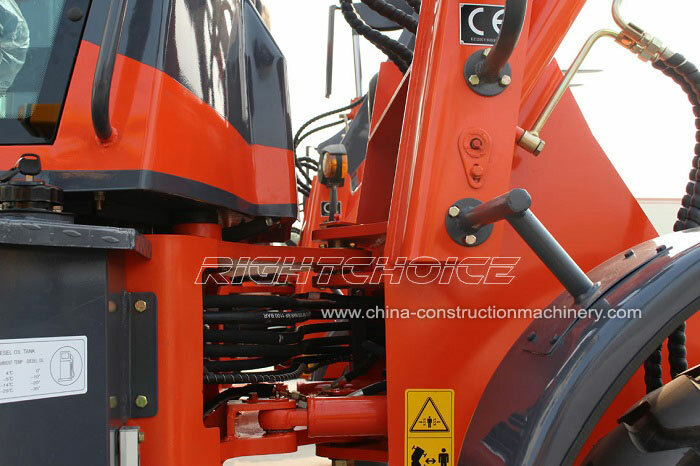 From construction and civil works, to forestry and environmental operations the RC15 is a durable and reliable vehicle. A leading brand in the Chinese motor industry, Xinchai engines have proven to be one of the most reliable Chinese engines. This has made it the chosen standard engine model for our RC15 wheel loaders. 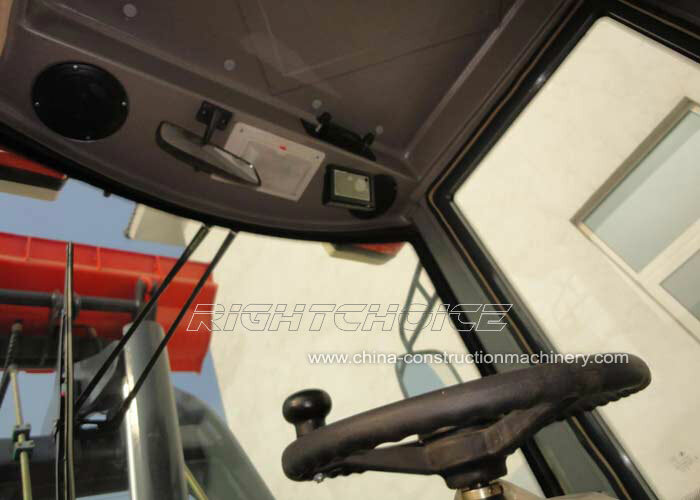 The Xinchai 490 (Euro III & EPA) is both energy efficient and easy to maintain. The 490 model has a 36.8 kW power at a rated speed of 2650 r/min. We also manufacture the RC15 wheel loader with a variety of engines, including Perkins and Cummins engines. It all comes down to our customers' individual requirements and specifications. 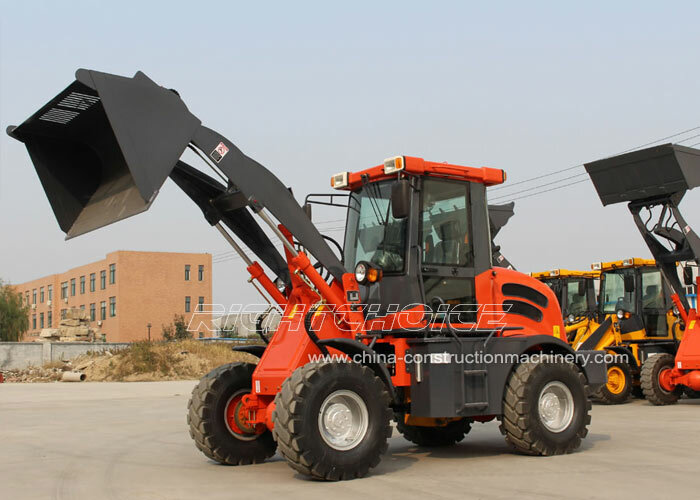 Thanks to our R&D department and to the valuable feedback from our customers, we have developed a wheel loader capable of working with loads of up to 1500 kg (1.5 t) effortlessly. 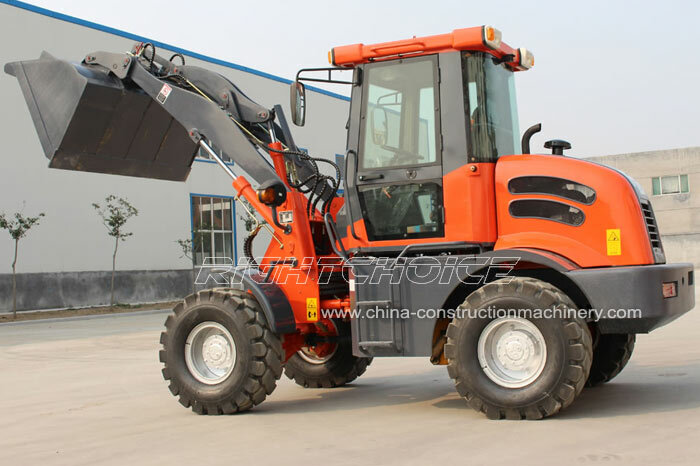 Its 5500 mm full length, 1850 mm width and 2150 mm wheel base together with its energy saving engine makes the RC15 one of the most cost efficient 1.5 ton wheel loaders in the market today. In order to maximize the operator's comfort and productivity the RC15 wheel loader is built with an integrated luxury cabin, E-mark seat and adjustable steering wheel. 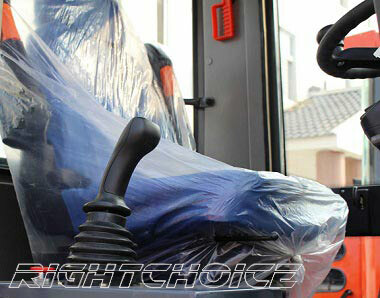 The mechanical joystick allows the operator to have total control over the wheel loader. 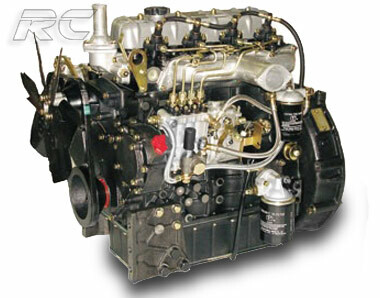 The RC15 uses an YJ1 240 fluid torque converter with a 240 mm circulation diameter and a 36 kW input power at 2300 r/min. The torque is connected to a fixed-spindle power shift gear box with 2 advance and 2 reverse positions. The chosen standard drive pump is a CBN-E316 model and both the front and rear axis have an 820 mounting distance. 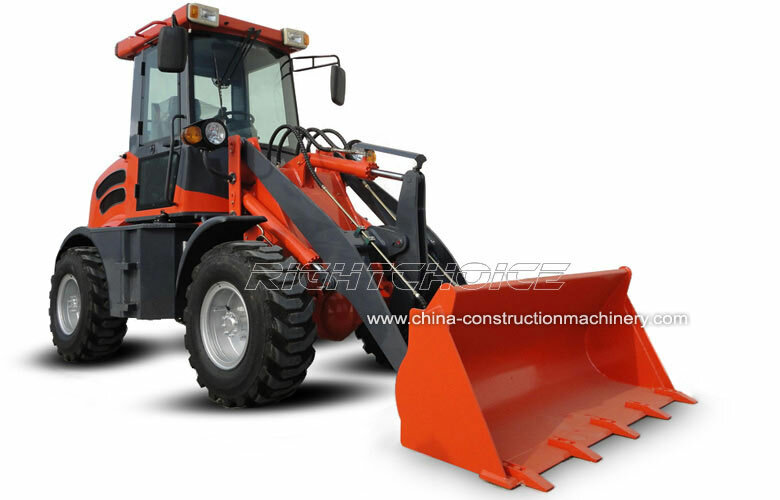 The RC15 wheel loader attachments include: wheel loader quick hitches, 4 in 1 buckets, sifting buckets, flat buckets, mixing buckets, pallet forks, side shift pallet forks, grass forks, grapples, waste grab, log grab, industrial bucket grapples, snow plows, snow blowers, 2 moving side snow blades, augers and sweepers. Get a quick quotation from one of our friendly staff members by using the form below. 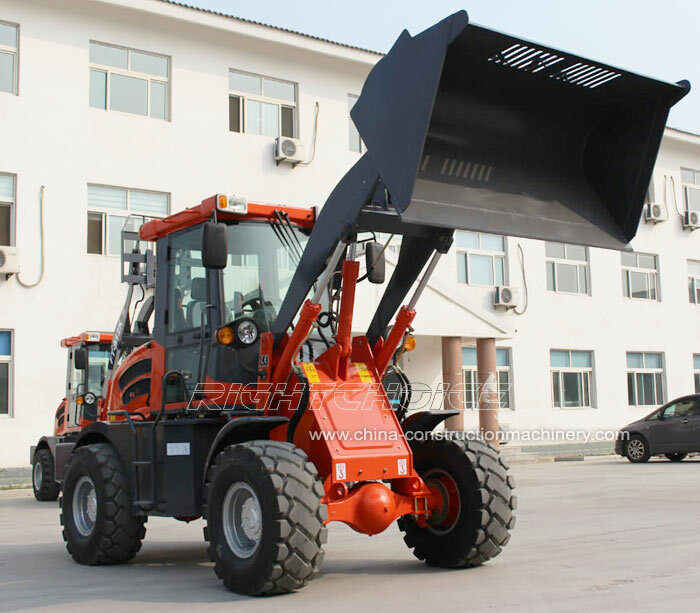 Click here to learn more about RIGHT CHOICE China Loader Manufacturer.